When you are looking for the most well-trained landscape design and installation contractor, you want to call Brooks Landscaping LLC. We are proud to offer you the highest quality landscape materials for your yard and home in Watertown, Middlebury, Woodbury, Southbury CT and beyond. 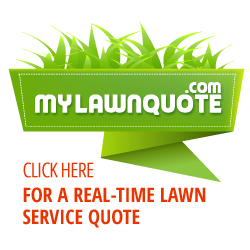 As your local landscaping and lawn care expert, you can be sure your landscape design will exceed your expectations. Our landscape design experts will provide you with a practical design that fits your style and current landscape. Whether you are looking for tree and shrub installation or a complete landscape design transformation, Brooks Landscaping LLC is the company for the job. There are many options when looking to design or transform your landscape, thats why our experts will walk you through the design process to create a perfect, sustainable, landscape for you to enjoy. At Brooks Landscaping LLC, we take pride in our work and are ready to bring our knowledge and attention to detail to your lawn and landscape. Contact us today for the best landscape design and installation services available in Woodbury Connecticut and the surrounding areas. Contact us today to start designing your new landscape. Our goal when designing your landscape is to establish something sustainable and practical in design in order for the chosen plants to grow naturally and flourish in your yard. From well thought out designs to high-quality proven materials and knowledgable installation, we deliver you quality that remains unmatched.